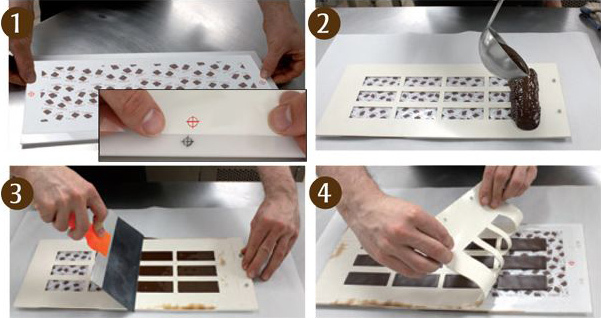 Using the workboard is the easiest way to produce uniform chocolate labels. It supports and centers the transfer sheet and the stencil which makes the design always well located on the chocolate labels. Dimensions: 18,5 x 44,3cm (7,25 x 17,5").